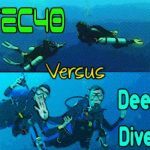 New to the market is this very economical, fully modular and minimalist sidemount system from Deco Dive Equipment in the USA. 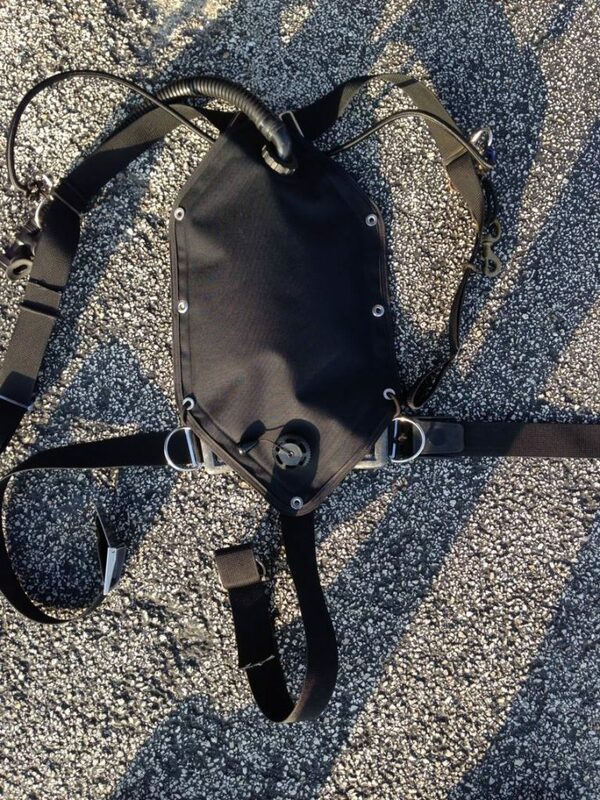 The 22lb/10kg bladder is essentially a robust copy of an 10 liter MSR bladder; as traditionally used in many DIY sidemount rigs, but pre-loaded with an LPI and OPV/Dump. 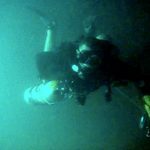 The rig will be more than sufficient for super-lightweight, travelling sidemount using double aluminum cylinders. 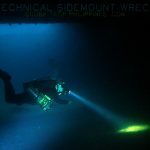 What’s really special about the Deco Sidemount is the price…. you can put together a very nice tailored rig for as little as $275.00. 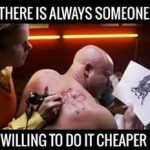 That’s cheap! 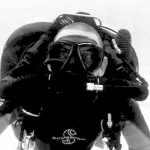 The bladder and harnesses (and individual hardware components) are available separately – allowing sidemount divers to pick an exact rig specification to suit their preferences and needs. The bladder is available to purchase without an LPI (for those wishing to fit their own), or with an LPI with either 13′, 16″ or 19″ corrugated hose length. 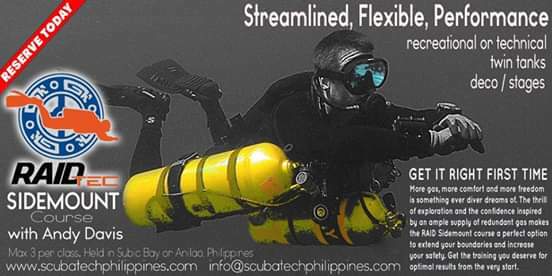 That’s a purchase option that I feel more sidemount rig manufacturers would offer. 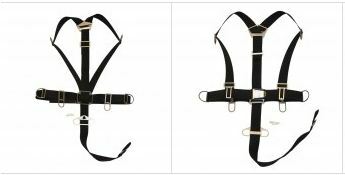 There are two harnesses available; a traditional harness (shoulder straps to the rear lumbar plate) and an ‘H’ style harness (shoulder straps routed to front of harness via ‘T’ attachments). Both harnesses are lightweight and minimalist; providing all the functionality that you’d need with zero superfluous clutter. 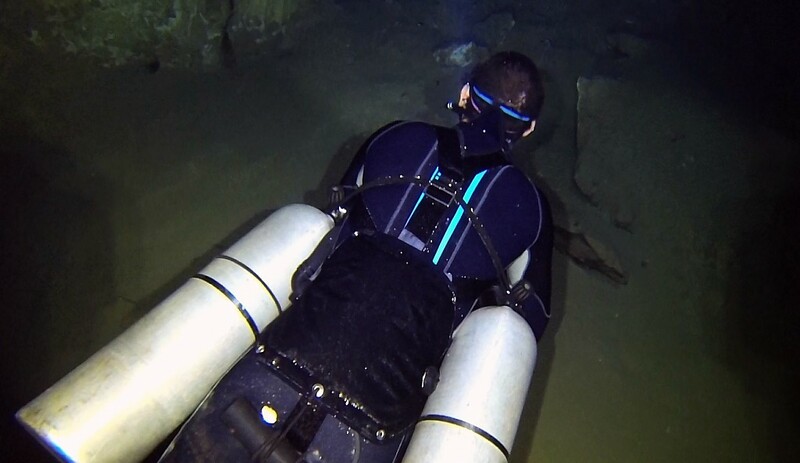 Many other types of sidemount wing could be attached to this harness. 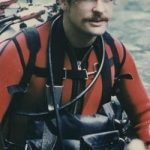 The harness is supplied with 6ft of 5/16th bungee and two bolt-snaps, so the diver can rig out their own tank bungee method (loop, sliding loop, independent, ‘old school’ etc). 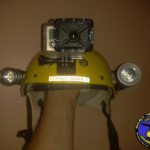 Both harnesses include fixed front D-rings and offset (drop) D-rings at the read. The rear crotch strap D-ring is a dual/double ring design; giving more options for equipment attachment. 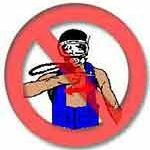 There is no weighting system included with the harness. 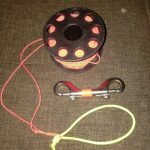 My solution for weighting, on ‘bare’ harnesses like these, has always been to put a couple of stand-alone weight pouches directly onto the spine webbing. 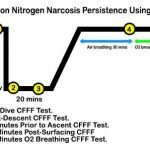 It works great and keeps things very simple. These would be an extra purchase… or you could just thread weights directly onto the spine strap for a more permanent option (less ideal for travelling). 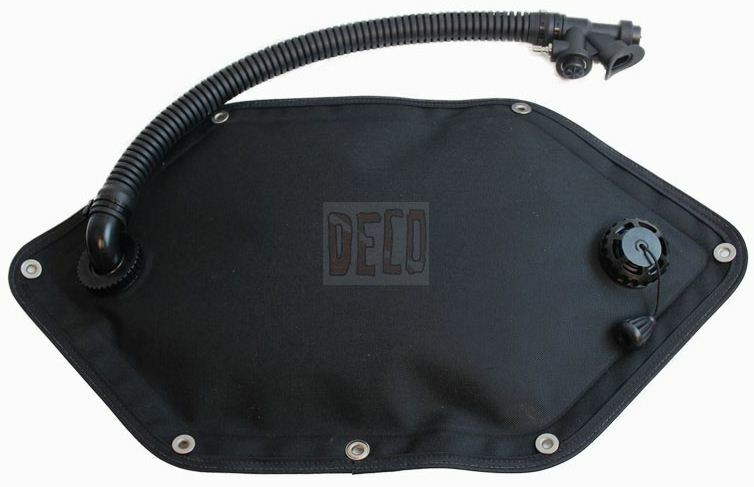 The Deco Sidemount bladder can be mounted on the harness in a horizontal or vertical position. Most would opt for a horizontal configuration, to keep buoyancy over the lower torso and route the LPI effectively across the chest. 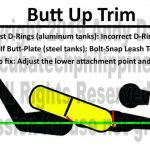 The photo below (for illustration only… it’s not a Deco Sidemount) shows the vertical bladder mounting option; giving an ‘over-the-shoulder’ LPI and central/bottom OPV dump location. I’ve always favored a very minimalist approach to sidemount rigs; and have previously made DIY rigs from MSR bladders and DiveRite Trim Pillow. 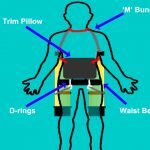 The Trim Pillow is very small capacity (10lbs/4.5kg) and not ideal for novice sidemount divers who have yet to dial-in their weighting/buoyancy. 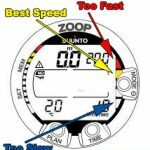 I can dive it with 2x AL80 plus 2xAl40… but many would struggle to float 2x Al80 only. Making sidemount rigs directly from MSR hydration bladders is quite an involved process; especially if you want to fit an LPI/OPV – cutting, placing and sealing the components requires a level of technical skill. 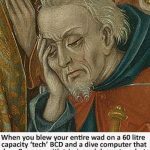 For me, having 22lbs/10kg of lift would be more than sufficient for extended range technical diving with up to 4 AL cylinders. 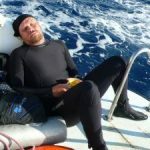 The buoyancy capacity would be fine for most properly weighted divers wearing a 3mm wetsuit and two aluminum cylinders. 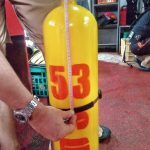 The Deco Sidemount solves that ‘DIY dilemma’ and provides an exceptionally economical and minimalist sidemount rig that will suit travelling, warm-water, sidemount divers…. and those who want something super-sleek for extreme restrictions in caves or wrecks. This is definitely a rig that I’d want to test personally for build quality…. 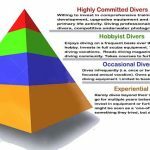 and, on design principle, I’d consider it as a cheap, effective rental rig for training sidemount students in the basic principles and procedures of sidemount diving. 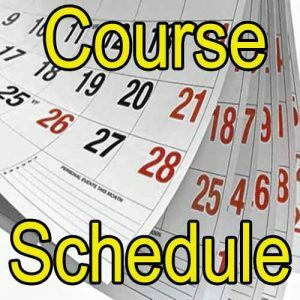 For more details, or to order, see the Deco Dive Equipment WEBSITE.